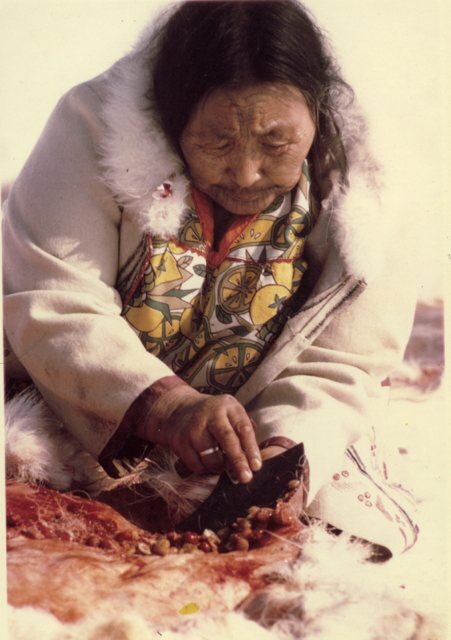 Eskimo [Inuit] woman cleaning caribou skin, Arctic Bay. [Woman with facial tattoos appears to be scraping warble fly larvae from a skin using an ulu, or possibly butchering the carcass]. Taken by Lorne Smith, [1969?]. [Alut Shappa].